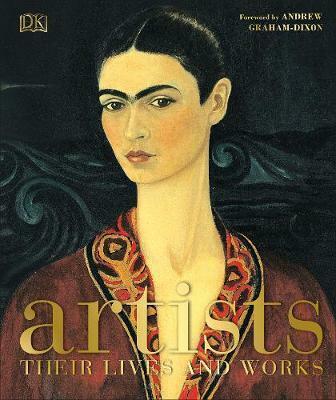 A stunning exploration of over 80 famous artists and their fascinating lives, from Leonardo da Vinci to Frida Kahlo. Artists: Their Lives and Works tells the inspiring stories behind the world's most famous masterpieces and their creators, including their influences, development, friendships, loves, and rivalries. Discover the often tumultuous lives of iconic artists including Raphael, Hogarth, van Gogh, O'Keeffe, Magritte, Warhol, and Kiefer. Uncover the unconventional tales of the artists' lives, including Holbein's matchmaking portraits for Henry VIII, Caravaggio's thuggish reactions to a badly-cooked artichoke, and the many romantic affairs of Picasso. Lavishly illustrated biographies for every artist reveal these visionaries at work in their studios, as well as the unique techniques, artworks, and personalities that made them into legends. Featuring a foreword by Andrew Graham-Dixon, Artists: Their Lives and Works is the ideal gift for art lovers old and young, and a uniquely fascinating look at the lives of these creators.